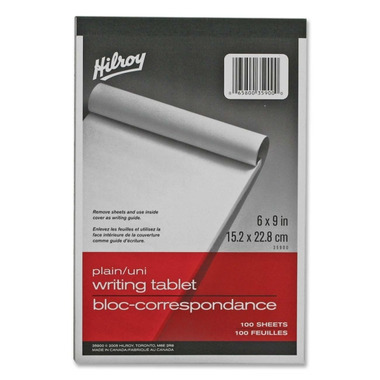 Hilroy Social Stationery 6x9 Writing Tablets are ideal for use at home or office. The rigid backs allow writing anywhere. This writing tablet contains 100 plain white pages.